A Charlotte high school's mock election; Obama's strong eco-platform; VOTE!! I was puzzled why 42% of the students chose McCain because of the economy. Does that make sense? No. But the students are young....a quarter are in 9th grade, after all. It's also embarrassing to me that the environment was such a low priority. Folks need to WAKE UP! I just don't understand the human mind. 1) Obama has a better environmental plan than McCain. 2) Obama places a higher priority on the needs of families & middle class workers than on huge corporations. 3) He favors tax breaks for middle class families rather than for big corporations. 4) Obama rejects the "trickle down" theory of economics. "Obama is serious about reducing our carbon footprint and reducing our overconsumption of the world's resources. Bush and McCain promote legislation and tax laws that benefit big business, saying that when corporations prosper, workers prosper too (the trickle down theory). But that doesn't work. Corporations' sole priority is to benefit their shareholders. Corporations by nature use the cheapest possible production methods - exploiting workers and exploiting natural resources, depleting nonrenewable resources, and polluting water, land and the atmosphere in the process. Bush has been manipulated for 8 years by corporate lobbyists whose only allegiance is to stockholders. Obama rejects the trickle-down theory. He favors legislation and tax laws that benefit ordinary working people, not corporations. He is not afraid to limit greenhouse gas emissions, even it it cuts corporate profits. He is not afraid to place the future environmental health of the planet and the welfare of working people at the top of his list of priorities. Bush and McCain seem unable to do anything that could hurt corporate profits - such as forcing corporations to clean up their greenhouse gas emissions. Production without pollution means higher production costs, and McCain won't take a stand against corporations that pollute." That's the gist of it for me. As a biologist, a lot of my thoughts are about emissions and global climate change. Most scientists agree that the coming ravages of climate change will be the biggest challenge humans have ever faced. When the Republicans let corporations do whatever they want, they exploit and trash. Enough of giving corporations huge tax breaks and free reign. If you want to read more specifics about Obama's specific voting record on the environment, see this summary of Obama's environmental platform on Grist magazine website. 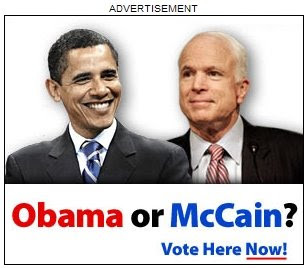 To see a comparison of Obama's and McCain's platforms on big environmental issues, click here. You might want to read this interview with Barack Obama by Grist and Outside. By the way, if you read this before November 4, please please please go out and vote. Go to http://www.voteforchange.com to find out the nearest polling place to your home. I noticed several of my neighbors seeding their lawns yesterday; autumn is the prime time to do that. Autumn seeding gives the new grass a head start before summer's heat rolls around. 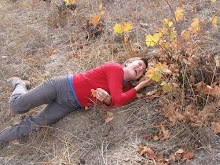 But my family won't be reseeding, even though our yard looks pathetic and embarrasses my husband. Our front yard was, at one time, a true lawn. Now it is an assortment of weeds that we still mow, dotted with numerous chipmunk holes, cicada holes, and the holes of huge solitary wasps called "cicada killers." Most of the weeds are introduced species that have no business being in North Carolina. In fact, the front yard looks more like a vacant urban lot than a lawn. But yet, we don't want a "better" lawn of uniform fescue or bermuda grass. 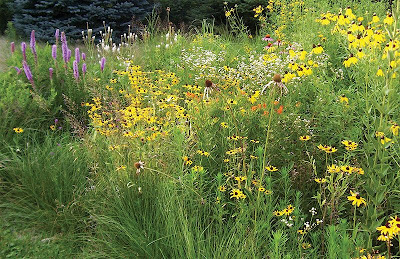 We would rather create a native meadow in our front yard, or cover up the "lawn" with dead leaves. How would our neighbors like that? I'm not sure. But the birds, raccoons, butterflies, and the stream critters behind our lot would probably prefer it. We have a lot of lawns in the United States. I was surprised to learn, while researching our book Going Green, that lawns are the 5th biggest "crop" in the U.S.! After corn, wheat, soybean, and hay, we devote more land area to lawn than to any other cultivated plant! That is not good news for wildlife. The per-acre application of pesticides to lawns is typically 20 times greater than pesticide application to farm crops. This seems absurd when you consider that lawns don't serve much purpose other than to match our arbitrary idea of what looks good in front of a house. Lawns are an American obsession that the rest of the world doesn't share. Brits refer to the yard as a "garden" - because it usually is a garden. In Latin America, yards (if they exist) are typically covered with native trees and shrubs and bare soil that's raked every day. Yet lawns are serious business in the United States. We spend more than $30 billion per year on lawn installation, lawn-care products, equipment, and the lawn-service industry in our pursuit of the ideal lawn – composed of grass species only, free of weeds, always green, and regularly moved to a low and even height. Gasoline powered mowers, blowers, trimmers, and so on, account for 5% of urban air pollution. And in spite of efforts to recycle, grass clippings and trimmings from ornamental shrubs comprise a fifth of all municipal waste. Our green urban and suburban spaces - lawns, roadsides, and parks - add up to a staggering amount of space that we are not taking advantage of. With a little attention, the 30 million acres of lawn in this country could become 30 million acres of native plants, creating habitat for threatened and endangered animal species. Habitat destruction is the number one threat to wildlife species worldwide, including here in the U.S. 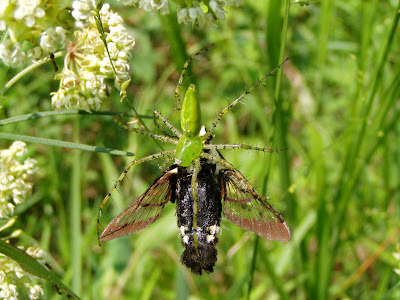 Converting lawn to native habitat could provide not only resources for wildlife, but a natural filter and a temperature regulator against air pollution and heat-trapping emissions from cities. In addition, this conversion would reduce or eliminate the chemicals, power machinery, and intensive watering required to maintain lawns and other nonnative landscaping. Lawns absorb only 10% of the water that a woodland would. The rest runs off into streams, where it contributes significantly to suburban flooding and stream degradation. So what to do? In our yard, we have actually made some progress. We started by getting rid of the English ivy, a problematic "invasive" plant, that was covering half of the front yard and crawling up our maple trees. We succeeded in killing it without herbicides. Following the advice of native-habitat-restoration expert Beth Henry, we mowed the ivy as low as we could, then covered it with flattened cardboard boxes and newspaper, and put a thick layer of dead leaves on top of the cardboard / newspaper. It's been about 9 or 10 months since we did that, and the ivy seems to be truly dead now. The same method can be used to get rid of turf, without herbicides, although Beth recommends a thick layer of heavy mulch rather than leaves for killing lawns. That's how she killed two acres of lawn on her own property, before converting the space to a native meadow. We're not sure of the best approach to the "lawn" portion of our front yard, so for now it remains an unappealing assortment of chickweed, plantain, wild violets, clover, oxalis, and scraggly grasses. Our backyard is heavily shaded and grass has never grown there. Instead, the ground is covered with leaves. 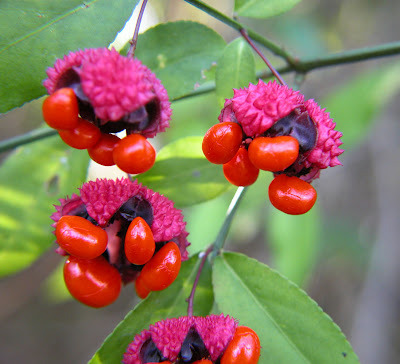 In the past month, my husband has bought a number of native plants that thrive in woodlands, including hearts-a-bustin (Euonymus americanus), beauty berry (Callicarpa americanus), Christmas fern, and more. His plan is to create a native woodland understory, again following the advice of Beth Henry. 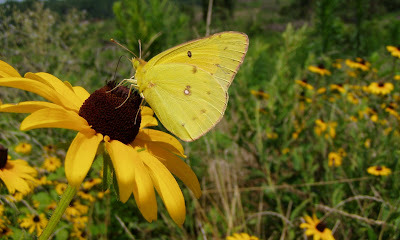 If you want native plants for your own yard, most states have a "native plant society" that you can locate by googling. If that doesn't work, ask around at local nurseries. An increasing number of plant nurseries carry native plants, or can tell you where to buy them. Even Home Depot carries native plants, although the manager at my local Home Depot told me that their plants are grouped by watering needs, so they don't have a section devoted to native plants. Just ask the nursery manager to point out the plants that are native to your area. If you want to plant specifically to attract wildlife, check out the National Wildlife Federation's backyard habitat program at http://www.nwf.org/backyard/. They recommend plants that offer nectar, berries, and foliage to feed wildlife, as well as landscape structure (rocks, logs, ponds, birdhouses, etc.) to provide wildlife shelter. With our ivy gone now, and a plan for our shaded back yard, we're contemplating how to transform the bleak expanse in front of our house into something that nurtures wildlife without entirely alienating our neighbors, all of whom sport tidy green lawns. A low-growing native ground cover might be appropriate for us. Maybe moss phlox, lyre-leafed sage, or mouse-eared coreopsis. Or ideally some heterogeneous combination of ground covers, aesthetically arranged. I need to get Beth over here to confer with us. Meanwhile, the chipmunks, cicadas, and cicada killers will have free reign over the eclectic collection of patchy weeds between our home and the street. Sally Kneidel, PhD, and Sadie Kneidel. 2008. Going Green: A Wise Consumer's Guide to a Shrinking Planet. Fulcrum Publishing. Three weeks ago, just after Hurricane Ike, I spent $70 to fill the tank on my old Volvo. I couldn't believe it. Of course, the station was price-gouging because Charlotte was out of gas. Almost every station in town was out, for 14 days or so. So we had to take whatever gas we could find. I hated that. I hated paying for it, and I felt guilty for using so much gas. Price can be a painful reality check sometimes. We would like to buy a hybrid car, and we've been mulling it over for some time. But we can't bring ourselves to spend that much money on a car. We've never bought a new car and never had car payments. Our budget can't accommodate car payments. So we're looking for used. Because of the price of gas and our concerns about greenhouse gases, we're specifically looking for a used Honda Civic. The Civic is rated about as high as any car other than hybrids on various "green car" indices, such as the Green Book on www.greenercars.org. A Civic uses more gasoline and emits more CO2 than a Prius, but it will be a big improvement over the Volvo. Meanwhile, as we're looking for a Civic, we've been trying to reduce our gas consumption and greenhouse gas emissions with the car we have at the moment. Don’t warm up your engine before driving. Engines emit the most pollutants when cold, and heat up faster when driving than idling. Combine outings. Even if you have to turn the car on and off at each parking lot, using the car for many errands at once reduces the number of cold starts. Drive steadily. The most fuel efficient speed is between 35 and 45 mph. It’s much more efficient to chug along steadily at 45 mph than to race to a stoplight only to slow down, idle, and accelerate again. Also, high speeds result in greater emissions. Don’t idle. Leaving the car running for thirty seconds uses just as much gas as it would to restart the engine. Avoid drive-through windows. Maintain your car. A faulty or poorly serviced engine can release up to 10 times the emissions of a well-maintained one. This includes all parts of the car; old tires, for example, impede the car’s movement and decrease its fuel efficiency. 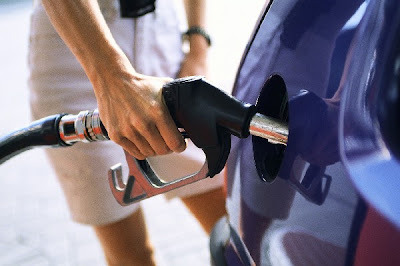 Use an energy-saving grade of motor oil (labeled ECII or Energy Conserving II). Share rides. If it costs you, say, 25 cents a mile to drive your car (including operating costs and fuel), then carpooling to work can save you as much as $3,000 a year on gas, insurance, parking, and car maintenance. Drive at non-peak times. This is the best way to avoid idling, stop-and-go traffic, and non-fuel-efficient speeds on the road. Use public transportation. One full, 40-foot bus takes 58 cars off the road. A 10 percent nationwide increase in transit ridership would save 135 million gallons of gasoline a year. When buying a new or used car, check ACEEE's Green Book online and choose a low-emissions and fuel-efficient car. If buying used, have a mechanic check the catalytic converter and other pollution controls to be sure they are working properly. According to the National Safety Council, the amount of gasoline and money wasted by inefficient driving in the United States is tremendous, adding up to 753 million gallons of gas per year, or $1,194 per driver in wasted fuel and time. 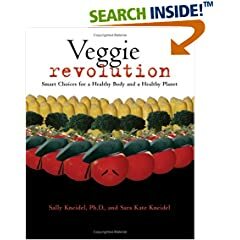 Sally Kneidel, PhD, and Sadie Kneidel. 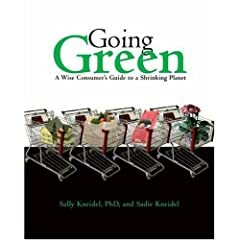 Going Green: A Wise Consumer's Guide to a Shrinking Planet. 2008. Fulcrum Books. Travelers from the United States spend 12 billion dollars each year in Africa. Some of that money goes to foreign owners of hotel chains and safari lodges. But not all of it. 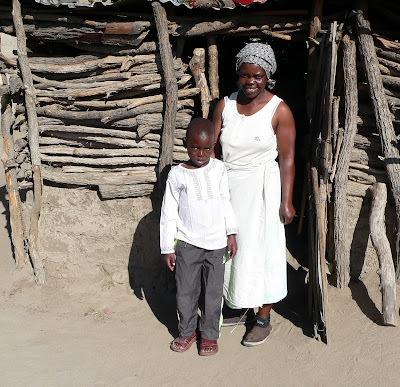 When destinations are chosen mindfully, travel dollars can go directly into the pockets of villagers who desperately need the money to support their families. Supporting impoverished families also reduces the overharvesting of natural resources such as trees and endangered wildlife. When families are struggling to find food just for today, they can't afford to think about the long-term environmental consequences of their actions. So what can we do? What can Americans do who don't have big bucks to spend abroad? My husband Ken and I have a modest income; we've both been educators our whole adult lives, and I make a tiny bit writing (2 cents an hour, to be exact). As a rule, we don't buy anything we don't absolutely have to have. When we do buy, we almost always buy secondhand. But our one area of "splurging" is green and culturally-sensitive travel. We plan all of our trips from scratch, by ourselves. No packages, no big hotels, no cruises. We cut out the middleman and as much as possible, we avoid foreign-owned lodging. We do our best to funnel our dollars directly to local people. In South Africa, we visited the village of Welverdiend, just outside the Orpen Gate of Kruger National Park. The villagers here rely heavily on natural resources to provide their basic needs: fuel, housing, food. They use wood from local trees for home-construction, cooking, fencing, livestock corrals, furniture, etc. The Welverdiend villagers also harvest local plants, insects, and wildlife for food. They make bricks for some of their housing, using sand from the nearby river. Their relationship with these resources was the fascinating focus of the tour. But all of these resources are diminishing rapidly due to earlier population growth, unsustainable harvesting by "outsiders" who sell the resources, and climate change. For example, the area gets less rain now due to climate change, so river volume is reduced, less sand is deposited on the banks, and the villagers don't have enough sand to make bricks. Also vegetation patterns are changing due to changing rainfall. Consequently, villages across Africa are looking for new ways to provide their families' basic needs of housing, food, and fuel. The villagers of Welverdiend are trying to generate income by offering village tours, and they're doing a good job of it. When we visited there, all of our payment went directly into the villagers' pockets. 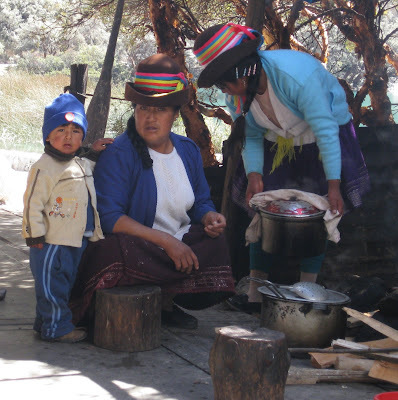 Supporting their tours helps the villagers in the short run, and also gives them an incentive to preserve their culture and to preserve a sustainable relationship with their natural resources. We went to Peru this past summer, and stayed in a remote research facility on a tributary of the Amazon River owned by a nonprofit, Project Amazonas. The mission of Project Amazonas is to promote conservation, conservation education, and the health of impoverished villages in remote areas of Amazonia. Project Amazonas has just gotten funding for a medical boat that will move from village to village providing basic health care for impoverished families. All the money we spent along the Amazon went directly to support the projects of Project Amazonas, or directly into the hands of remote villages we visited along the Rio Orosa: Santa Ursula, Comandancia, Santa Thomas. We donated money also to ACDA-Peru, a nonprofit working along a different tributary of the Amazon, for their September health fair to provide medical services and family planning options to families along the river (organized by Rosa Vasquez of Hospedaje La Pascana). When families have access to medical care, family planning, and education, birth rates go down, which in turn helps families use rainforest products (including trees and wildlife) at a more sustainable rate. All of the support people we employed on the trip - our cook, our boatman, our driver, our guide on the desert coast and in the Amazon - were all native Peruvians. With one exception, all of the hostels where we stayed, in the Andes and elsewhere, were owned and operated 100% by local people. Our only exception was Llanganuco Lodge, a Mount Huascaran eco-lodge owned by a transplanted Brit, who donates money to support the local Quechua community and employs local Quechuans. A trip to Thailand and Viet Nam is in the works. I'm going with two friends this time, not my family. I'm booking places right now via the internet. I'm trying to choose places that promote conservation and that are owned by local people. It takes a lot more time to do the research required to screen providers and to book places myself, rather than through a travel agency. But it's fun. When I get back from trips, I try to maintain contact with villagers, with local providers, and with conservation groups we've met during the trip. I post their contact info on my blog, and promote their fundraisers on my blog. My goal is to get American travel dollars into the hands of people in developing nations who are struggling toward sustainable livelihoods. By doing so, I hope to help them live more comfortably, to give them additional incentive to maintain their rich traditions and way of life, and to reduce the overharvesting of natural resources. When I get back, I'll post contact info for the local providers and organizations we met in Asia. Who won the debate? Reviews favor Obama. Obama wins on personal dynamics too. During the debate last night, when I imagined Obama representing our country, I felt confident and relieved and proud. He's a scholar - he graduated from Harvard Law School as president of the Harvard Law Review. He's articulate, every sentence reveals his intelligence and his facility with words, and his thorough understanding of the challenges that face our world. More than that, Obama has the social skills of a diplomat. He listens, he affirms, he looks at people he's talking to, he's respectful: he doesn't make personal snipes and condescending grimaces. As a bonus, Obama speaks, moves, and interacts with grace. He's a dynamic and charismatic presence. McCain on the other hand graduated 5th from the bottom of his class; he's not a scholar and he's not especially articulate. He seemed last night to sort of stalk and lurch around the stage; maybe that's a function of his age, I don't know. He patronizes his opponent with facial expressions and tone, and he's often downright rude, referring to Obama as "that one" while pointing at him, but without ever looking at him again! And what could he have meant when he said "Not you, Tom" to moderator Tom Brokaw? Was that supposed to be a joke? Brokaw, baffled, tried to respond as though it was. McCain has the social skills of an eight-year-old. The world is too fragile politically to take risks with unpredictable gaffes and random social blunders on the part of the president. I'm quite clear that I agree with Obama on the issues, and the things I'm saying here are secondary to that. But it does feel good to imagine an articulate, intelligent, diplomatic president representing our interests and negotiating on our behalf with other world leaders for the next eight years. That feels really good. Click here for an overview of Tuesday night's presidential debate: reviews from the New York Times, Washington Post, Wall Street Journal, and a citizen focus group. Things are looking even better than I thought for Obama. Wow...am I dreaming? Given the last two elections, I know better than to count on anything. I did go by the headquarters yesterday and sign up to drive voters on election day. It was exciting being in there. There was a kind of energy in the air. People working busily at tables, hanging up posters, etc. I liked it! It made me feel hopeful. As it turns out, Palin didn't do anything truly comical during the debate. But she did blank out on many of the questions in a less dramatic fashion. She blanked out in that she didn't answer the questions. Repeatedly, when asked about complex topics such as subprime mortgages, she ignored the question and instead launched into more comfortable, rehearsed territory. Her favorite topics were energy, tax reform, and Alaska. Smiling gaily, she referred to Alaska's natural gas reserves as "clean and green." Hmm....last I heard, natural gas is still a fossil fuel, and as such, its combustion produces CO2. It doesn't have quite the variety of polluting by-products that coal and oil combustion do, true. But no fossil fuel is "green." But let's consider her comment in the context of other remarks she has made. During the debate, Palin asserted that global warming is due, at least in part, to natural and "cyclical climate changes." Given that misconception, I can see why she's not too concerned about CO2 as a greenhouse gas. In a world-view where fossil fuels are not responsible for climate change, then natural gas can indeed be "clean and green." How can Palin live in today's world and not understand the link between the burning of fossil fuels and global warming? Even Bush has finally accepted his error on that one. Could it be that Palin doesn't read? Take a look at this on youtube: Palin was either unable or unwilling to tell Katie Couric a single news source that she reads. Now, that is scary. Nightmarish scary. Imagine the leader of the world's most powerful nation relying upon myths to explain the most challenging problem the world has ever faced. While we're on the topic of myths, Palin apparently doesn't believe in evolution either. According to Philip Munger, a Wasila resident who teaches at the University of Alaska and was quoted in the LA Times, Palin told Munger that "dinosaurs and humans walked the Earth at the same time" and that "she had seen pictures of human footprints inside the tracks" of dinosaurs. Although I started this post in a lighthearted frame of mind, reflection on Palin's lack of study and vacuous opinions is making me increasingly uneasy. Joe Biden seemed equally distressed by Palin's vague uncertainty about any causal relationship between human activities and global warming. He replied with conviction that we do know the cause of global climate change, and that we must know the cause in order to do anything about it! Friday's polls show that viewers feel Biden won the debate by a hefty margin. Thank God that Palin's beauty-pageant face, perky manner, and winks did not override the depth of Joe Biden's 30 years' experience in the Senate. Biden has a nice smile too, which he flashed a few times during the debate. But seriously, Joe Biden and Barack Obama offer real-world and fact-based solutions to complex problems, as Biden articulated so clearly and reassuringly during the debate. I fear for the future of my family, the country, and the planet if Obama and Biden don't win this election. Well, regardless of who wins, I will fear the economic and environmental consequences of climate change that have already been set in motion. But if McCain and Palin somehow wind up at the wheel, then I may lose all hope. Are you curious about how much CO2 you’re responsible for? Here’s a simple questionnaire that will help you get a handle on how much carbon you generate with your current lifestyle. All you need is some information about your your cars, an electric bill, and a gas bill. My husband Ken, a high-school biology teacher, adapted this questionnaire from one on the Population Connection website. Ken uses it in his AP and Honors biology classes. But it could be used for any course - health, social responsibility, economics, etc. Within a couple of decades, global climate change will affect every aspect of life on planet earth, so it's relevant to everything! As of right now, residents of the United States are the primary drivers of global climate change (per capita). Although China, with 4 times as many people, has recently passed us in terms of their total carbon output. The burning of fossil fuels produces CO2, the greenhouse gas that is the major cause of global climate change. As our atmosphere continues to warm, we'll see oceans rising, coasts flooding, glaciers melting, wildlife extinctions, etc. While climate change is a global issue, many of the causes and solutions lie in individual decisions. The purpose of this activity is for you to calculate the amount of CO2 you produce annually through direct and indirect sources: your “carbon footprint”. Just follow the steps. All you need is some information about the cars in your family, an electric bill, and a natural gas bill. 13. Now double that figure to take into account other sources of CO2 you are responsible for, like that produced from the manufacture of the consumer goods you used during the year, like clothes, food, paper, etc., the heating and cooling you took advantage of in public buildings, your use of public transportation, and the industry required to support your lifestyle. The total will give a more accurate estimate of all of the CO2 you’re responsible for. Now, let’s use this number to estimate the CO2 production for the entire country. 16. Now multiply that by the number of people in the U.S. (305 million). How many tons of CO2 does this suggest that the country is producing in one year? According to estimates taken from an on-line carbon footprint calculator (http://www.carbonfootprint.com/calculator.aspx), the per person production of CO2 in the U.S. is about 22.4 tons. How did your estimate compare? · The average for people in all industrial nations is about 12.1 tons. (We tend to use more). · The average for people across the world is about 4.4 tons. (Most people live much simpler lives). We have a big challenge facing us. According to some experts, to combat climate change, the worldwide average needs to be cut by 50-80%, to 2.2-0.9 tons per person. Through this activity you’ve gotten a handle on how much CO2 is being released into the atmosphere by your personal activities and by the country. It’s a lot! The worldwide release of CO2 from fossil fuel combustion is currently 27 billion tons per year. Unfortunately, the solving this problem will be even more difficult than these calculations suggest. The world’s population is expected to grow from the current 6.7 billion to 9.2 billion by 2050. With so many more people on the planet, the challenge of lowering our carbon footprint to roughly 2 tons per person will be even greater. Feel free to use this questionnaire for courses and share it with teachers you know. Please cite Population Connection as well as this blog. Population Connection has a great website, with useful and factual articles about human impact on diminishing natural resources, etc. Post by Sally Kneidel; questionnaire from Ken Kneidel. Part of this questionnaire is from "Global warming begins at home" in Population Connection's (www.popconnect.org) magazine, "The Reporter" (Fall 2007, pg. 22). 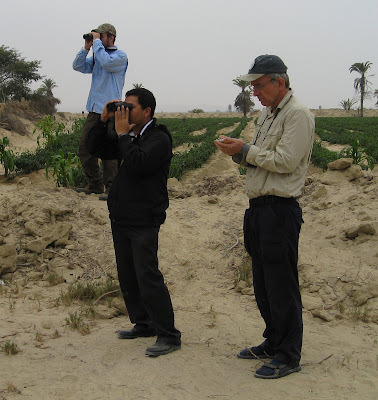 The questionnaire was modified and expanded by Ken Kneidel, PhD (ecology). A message from green filmmaker Jeff Barrie: Kilowatt Ours goes national! Send this post to your contacts, friends, listserves, etc. Watch it on TV (invite some friends over). If it is not airing in your community, contact your local PBS station viewer services department and ask if they plan to schedule a broadcast. Make a small donation to Kilowatt Ours to support our continued efforts to make this national release a smash hit! (visit www.KilowattOurs.org and click on “donate”). Thank you in advance for any help you can offer! And do not hesitate to send me a message. I would love to hear from you. KILOWATT OURS IS COMING TO PUBLIC TELEVISION – OCTOBER RELEASE! KILOWATT OURS: A PLAN TO RE-ENERGIZE AMERICA is an award-winning film that provides simple, practical, affordable solutions to America’s energy crisis and shows how we can save electricity, save money and make a difference for ourselves and the planet. Visit www.KilowattOurs.org for a short sneak preview. The film is scheduled for broadcast on public television stations in dozens of cities across the United States this October, “National Energy Awareness Month.” See below for a list of stations. More stations are added weekly so visit www.KilowattOurs.org for updated TV info, or check local listings to see if your station is planning to show the film. · Consider a donation or sponsorship to support this effort and bring this film to a wider audience. Donations of $25 entitle you to a DVD and bulk rates are available. If the film is not currently scheduled in your community, you may wish to contact the viewer services department at your local public television station to find out if they are planning to show this hopeful film which inspires energy conservation and change for most people who see it. Kilowatt Ours’ is a 501(c)(3) nonprofit organization. Sponsors include: Turner Foundation, Southern Alliance for Clean Energy, The Sierra Club Foundation, Johnson Controls, Mother Earth News, Utne Reader, Stonyfield Farms, and Renewable Choice Energy. For more information, visit www.KilowattOurs.org .